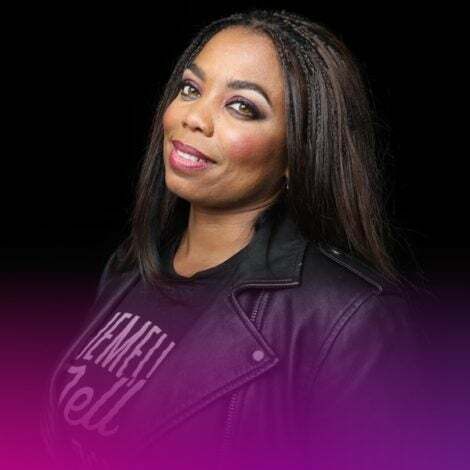 Aaron and Kyla met in literature class their sophomore year in college. 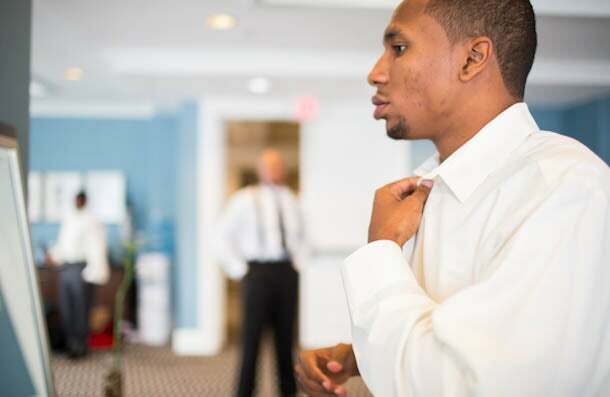 The duo didn’t date until after graduation – when Kyla moved 400 miles away for an internship. Through the distance their love blossomed. 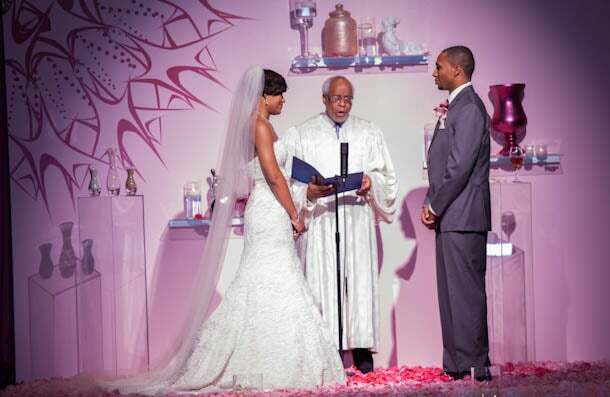 Last spring, Aaron wrote a letter to enter the ESSENCE Storybook Wedding that changed their lives. 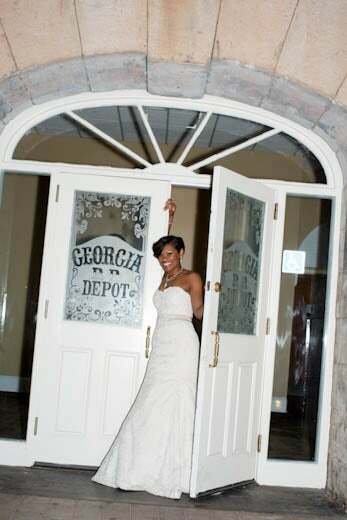 On September 29, 2012 their magical nuptials took place at the Georgia Freight Depot in Atlanta. 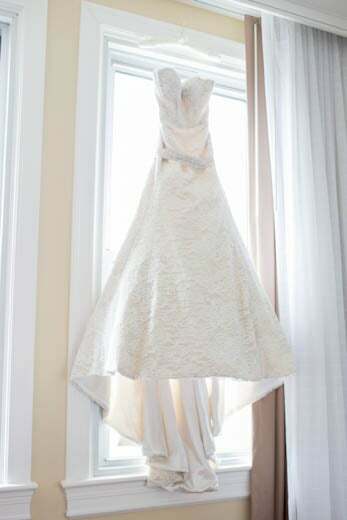 Designer Kevan Hall created a custom wedding gown for Kyla to wear on her special day, incorporating her desire for a sweetheart bustier and full skirt. 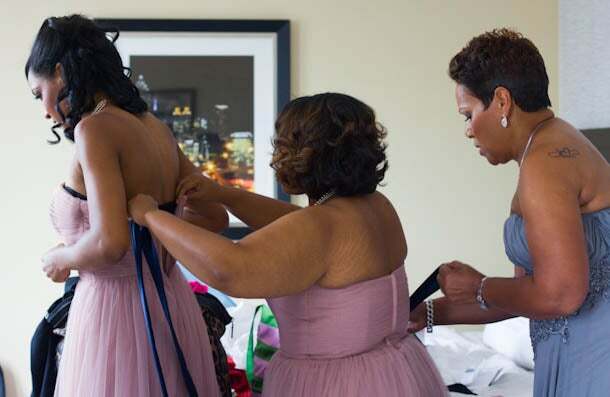 Atlanta boutique Kelly's Closet hosted Kyla’s fitting, where she squealed, “it’s perfect” when the dress arrived. 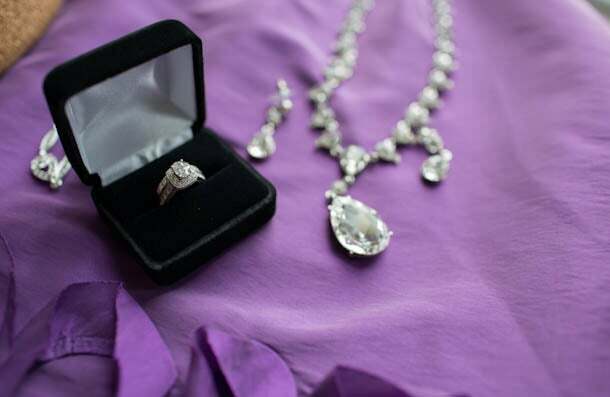 “I loved every second of the getting ready process,” Kyla says. 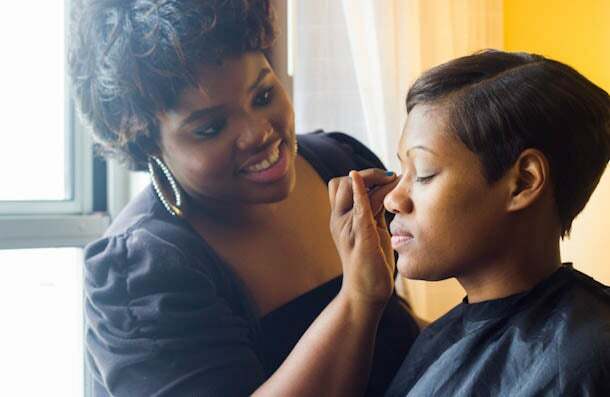 Her glam squad included makeup artist Rhonda Peterson (left) and hairstylist Kortney Moffett. 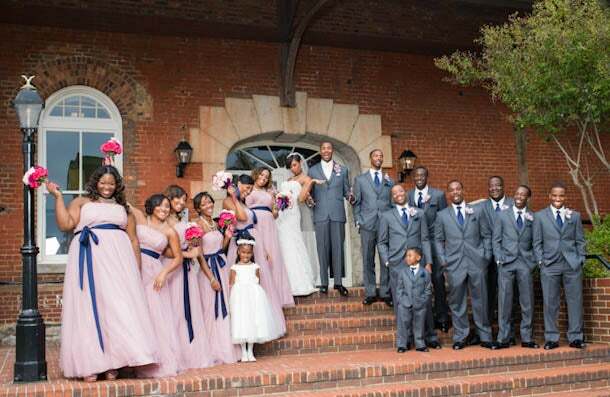 Kyla chose pink and blue for her wedding colors and the shades were present from her invitations to the bridal party. 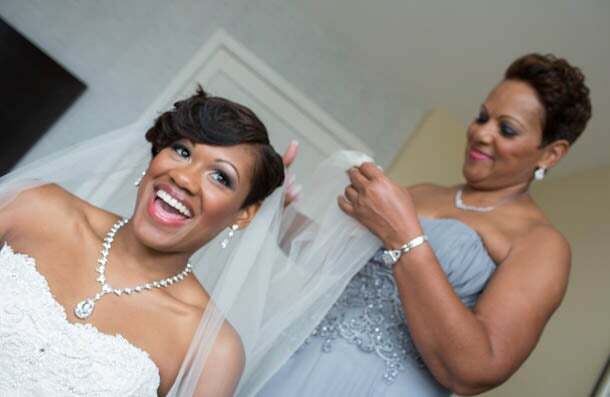 Kyla’s mother, Cynthia, helped her with her gown and flowing veil. 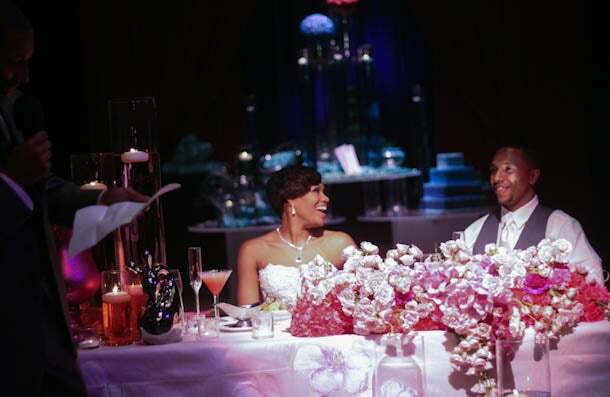 Invitations from Diann Valentine’s Wedding Paper Divas collection set the mood for the romantic wedding. 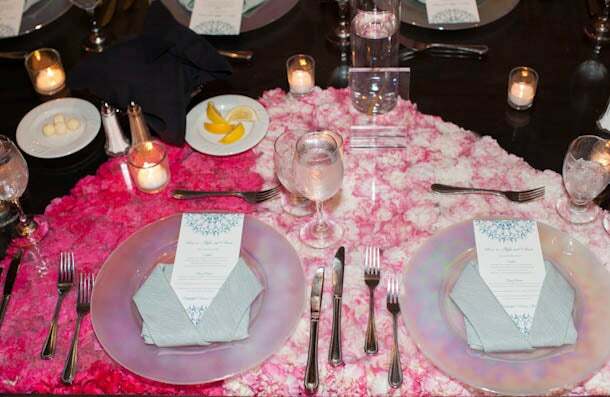 The artwork from the invitations was used throughout the ceremony and reception decor for continuity. 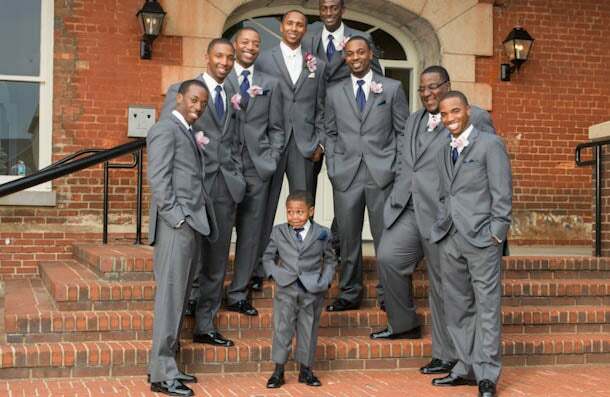 Aaron’s groomsmen included his brother, Kyla’s brother and his closest friends since elementary school. 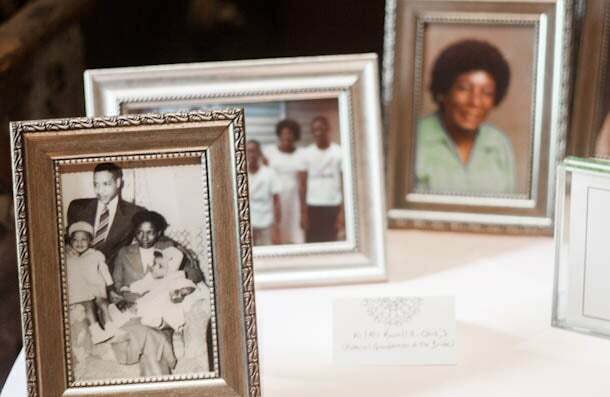 To pay tribute to their ancestors, Aaron and Kyla included photos of loved ones who had passed in their decor. 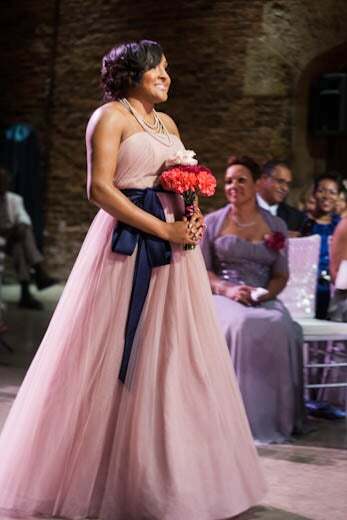 Kyla chose blush Alfred Angelo dresses in the modern vintage style for her bridesmaids. 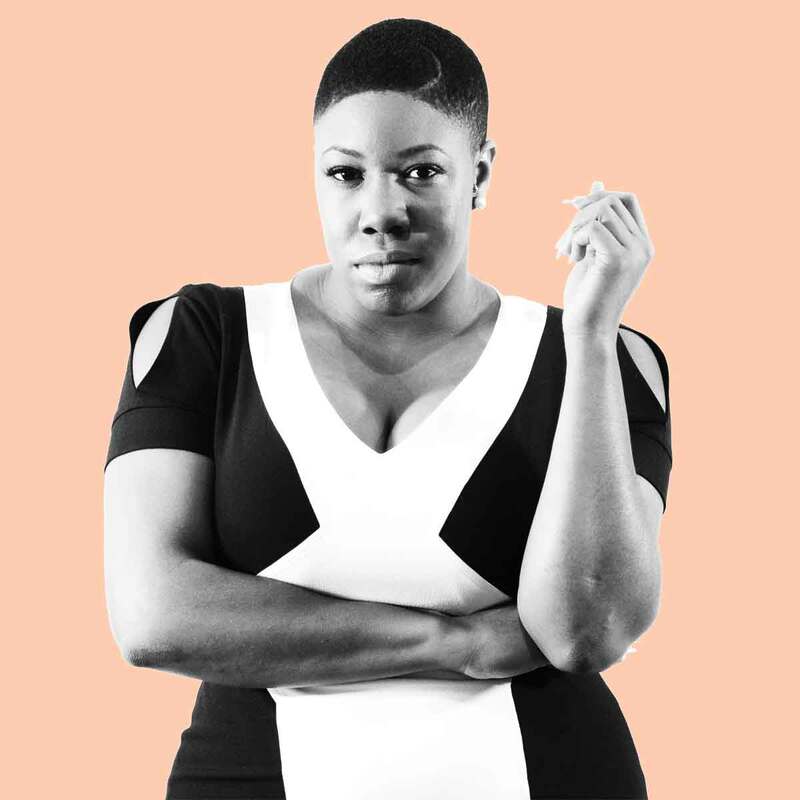 “As soon as I came across the style, I just knew it was the one,” Kyla says. 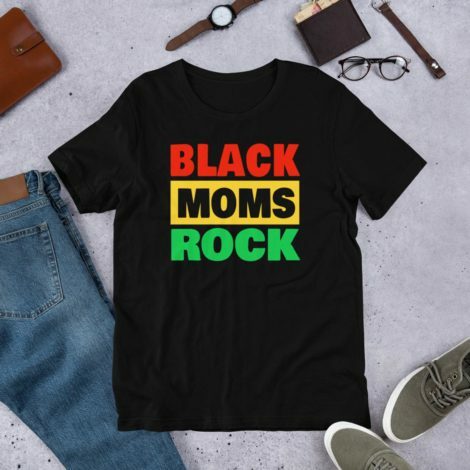 “It's perfect for outfitting six women with different shapes and sizes. 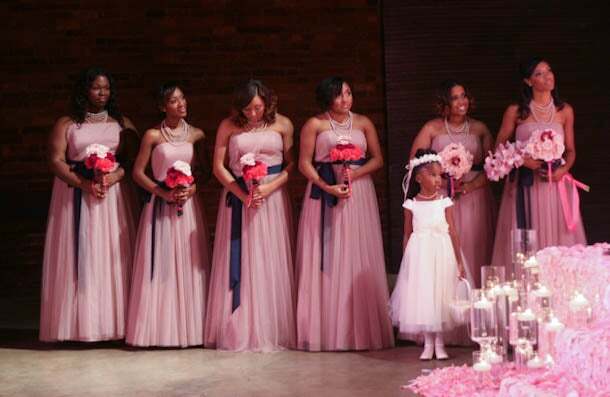 My bridesmaids loved the dresses and how they fit!" 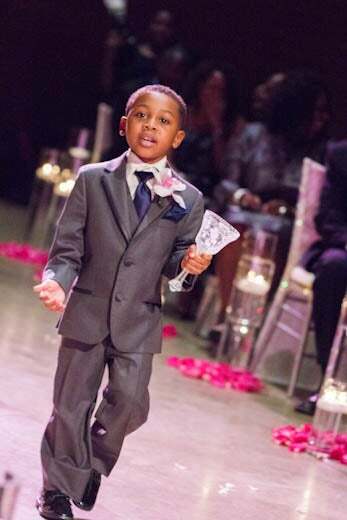 Aaron’s tiny cousin announced that Kyla was about to head down the aisle. 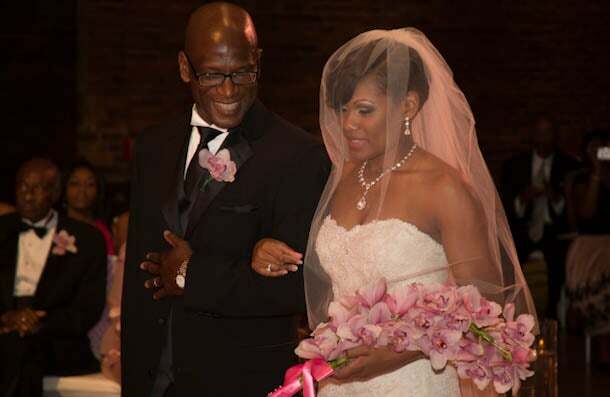 Kyla’s dad Byron escorted her down the aisle and also serenaded the couple during the ceremony. 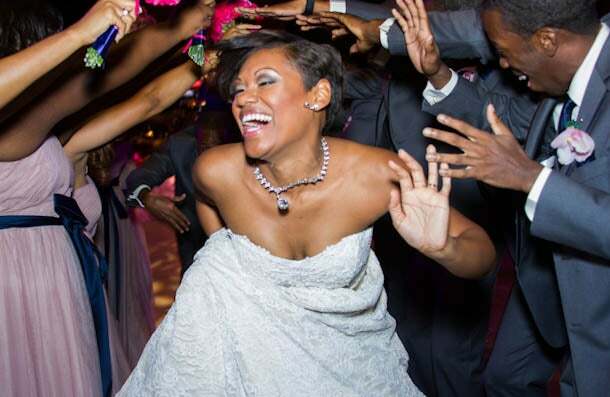 “As I was walking down the aisle, I was thinking, don’t trip, my dad should slow down and there’s the love of my life waiting for me!” Kyla remembers. 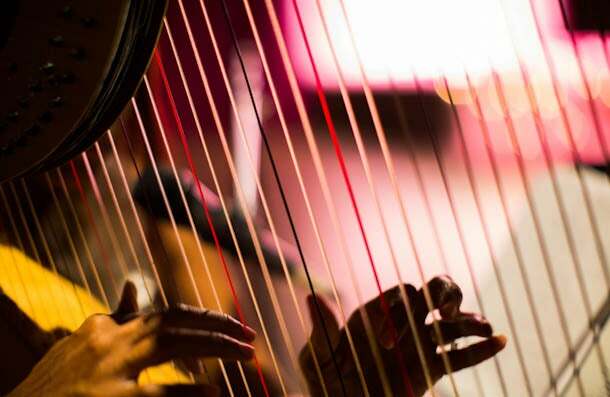 A harpist played “A Whole New World” right before Aaron proposed at Disney World. 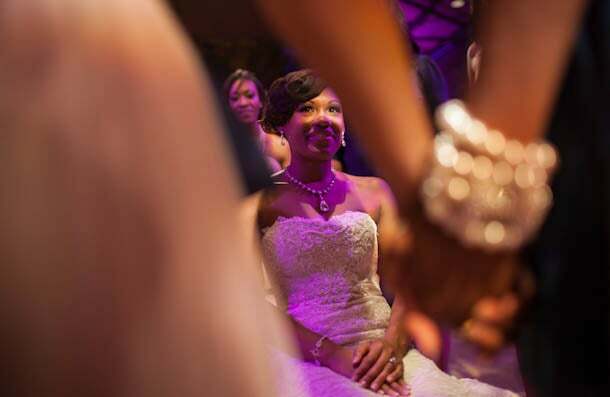 And, as Kyla walked to the altar, harpist Lyrika Holmes played and sang Adele’s “Make You Feel My Love. 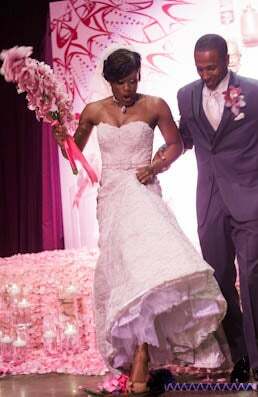 Aaron and Kyla exchanged vows on a bed of rose petals provided by wedding florist Perfect Creations and Design. 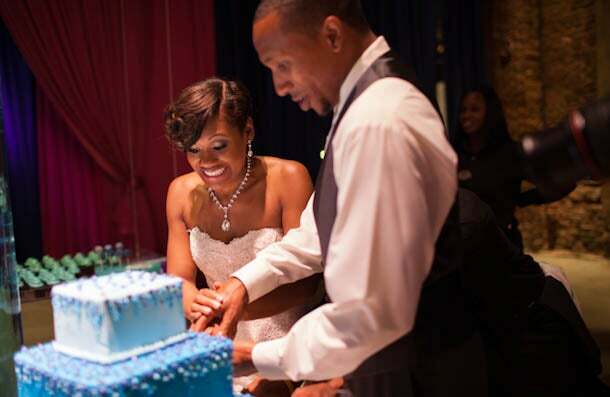 Aaron and Kyla were surrounded by friends, family and hundreds of candles as they pledged their love. 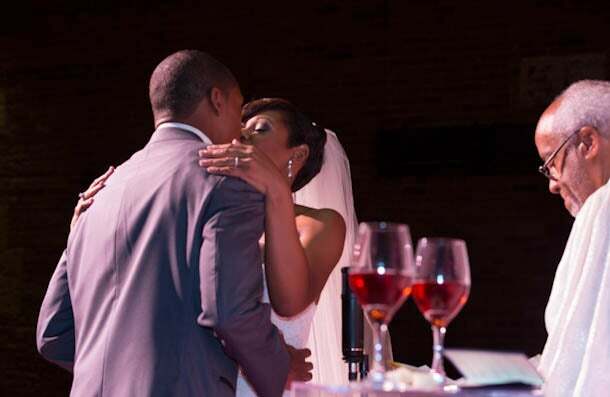 After sealing their bond with a kiss, the couple took their first communion as husband and wife. 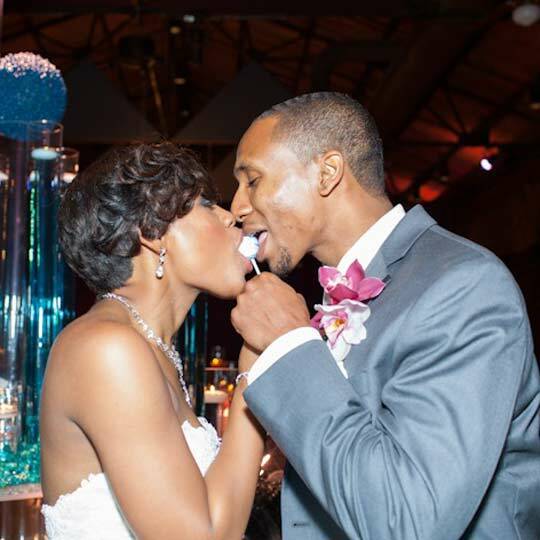 “We jumped the broom to sweep away the past and jump into a new future together,” Kyla says. 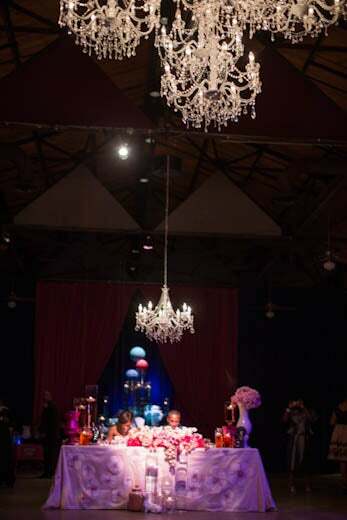 Diann Valentine transformed the Georgia Freight Depot into a romantic haven with soft lighting by PA Universal Sound, Lighting & Media, chandeliers from Geri Sims, chairs from Sweet Seats and draping provided by Event Drapery, Inc.
Kyla was shocked when celebrity wedding planner Diann Valentine unveiled the reception space after the ceremony and wowed the couple by placing floral arrangements inside the tables, instead of on top. 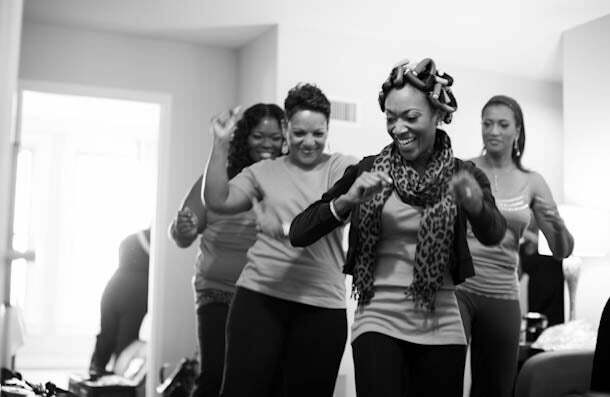 “I was completely blown away by how she turned my vision into reality,” Kyla says. 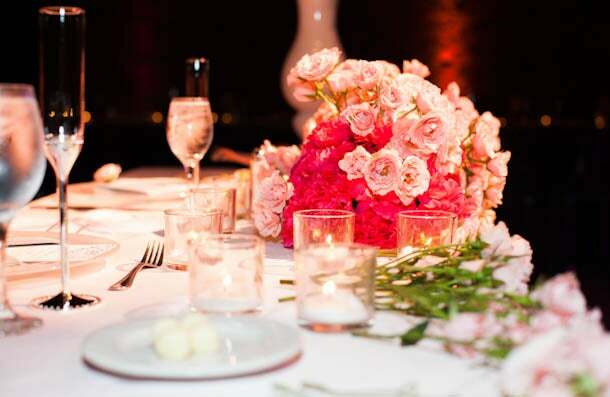 Guests dined on top of flowers covered by glass tables. 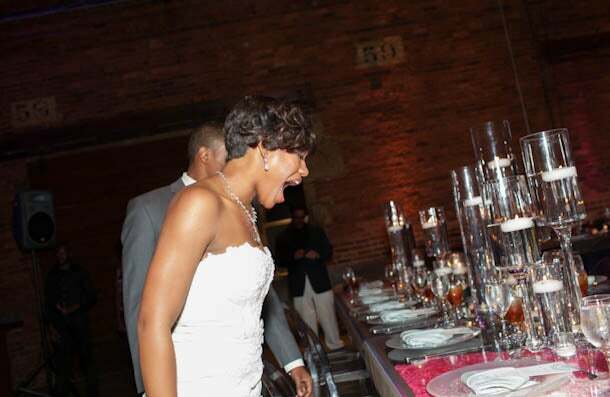 The custom candy bar created for the wedding stunned Aaron and fed his sweet tooth. 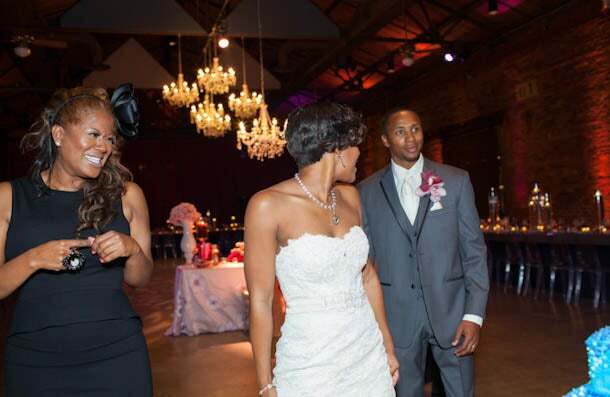 After a whirlwind engagement, Aaron and Kyla are all smiles as they enter their reception. 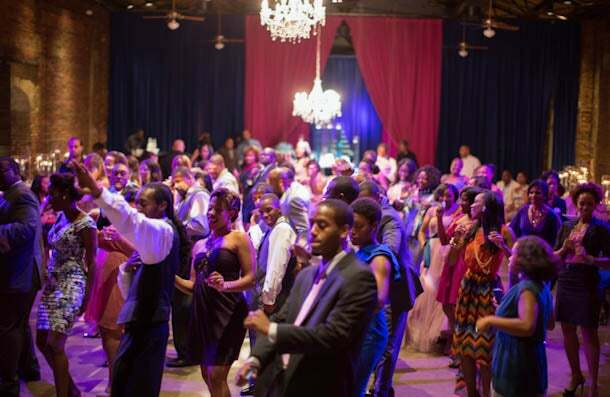 The bridesmaids and groomsmen put the party in bridal party as they welcomed Aaron and Kyla to the dance floor. 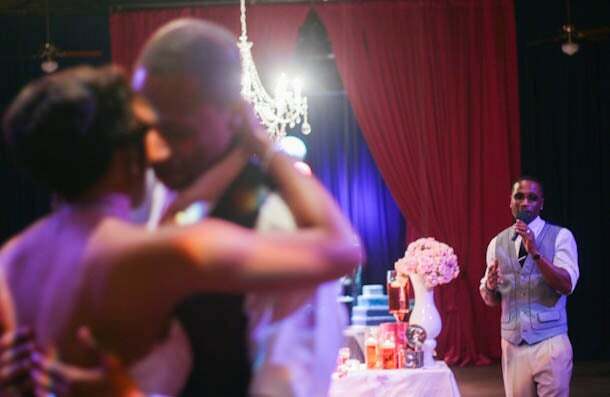 R&B singer Q Parker surprised the couple and sang “Love of My Life” for their first dance. “We love music and some of my favorite memories together are at concerts," Kyla says. 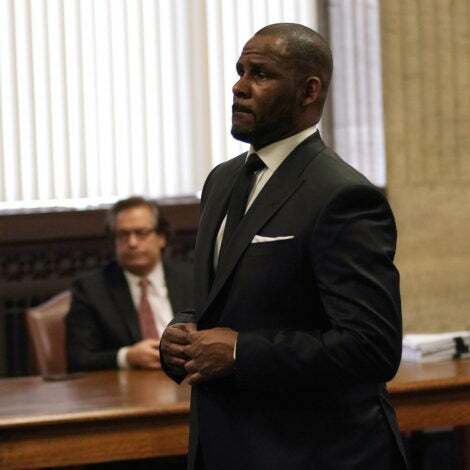 "Now our wedding is one of those times." 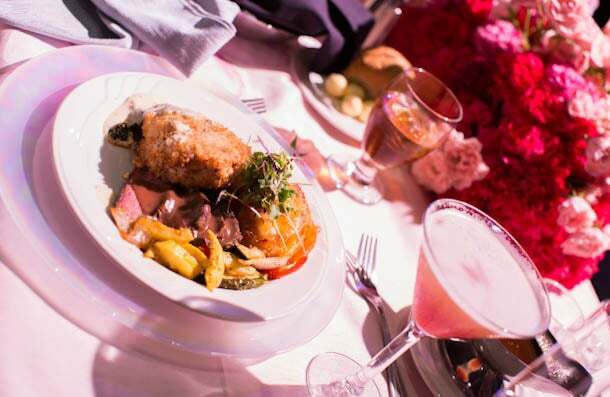 Guests were served dual entrées, an encrusted chicken stuffed with spinach and Boursin cheese plus beef ­tenderloin in wine, created by the team at Distinctive Capital Caterers. 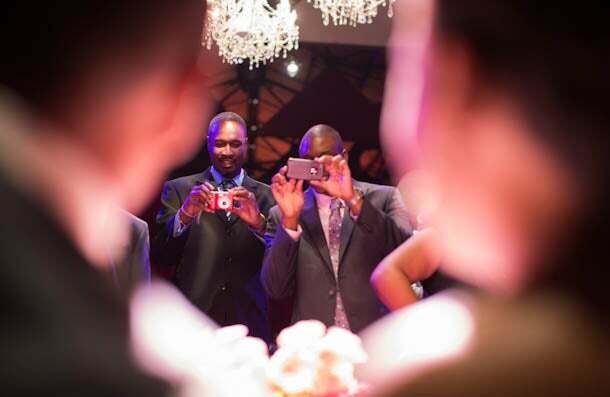 “At a wedding people are looking to try something new,” Valentine adds. 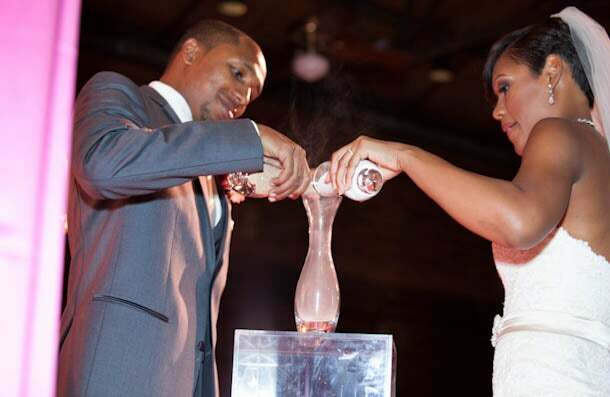 Friends and family toasted the couple with miniature bottles of Martini & Rossi Sparkling Rosé. 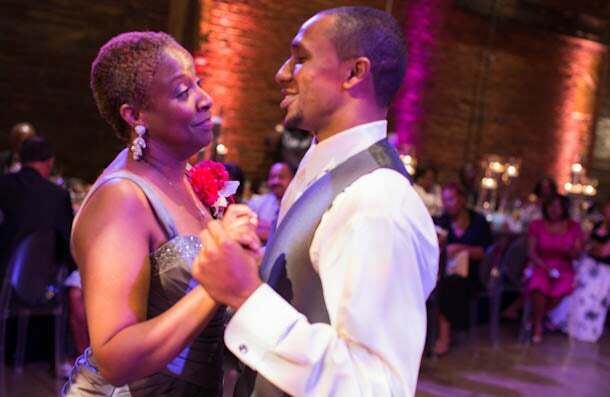 Aaron twirled the first woman in his life, his mother. 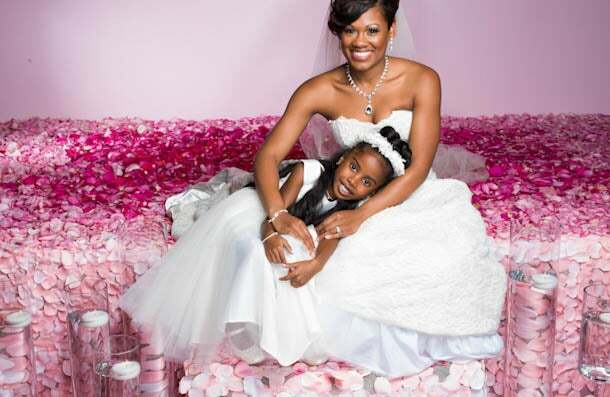 Kyla’s Alpha Kappa Alpha sorority sisters celebrated her special day. 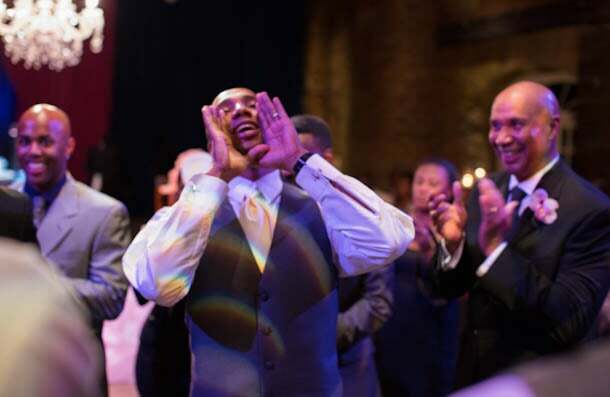 Aaron’s Kappa Alpha Psi fraternity brothers joined him on the dance floor, including his dad, right. 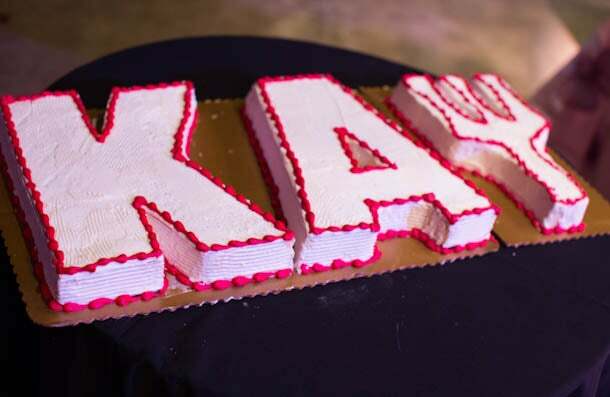 Kyla surprised Aaron with a groom’s cake of his fraternity letters from Sweet Auburn Bread Co. in Atlanta. 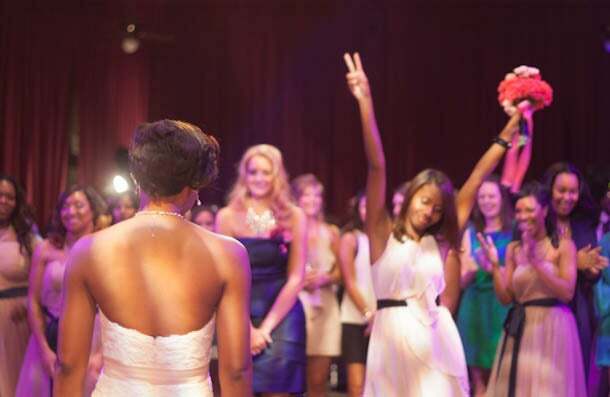 The winner of Kyla’s bouquet toss enjoys her victory. Who says men aren’t trying to get married? 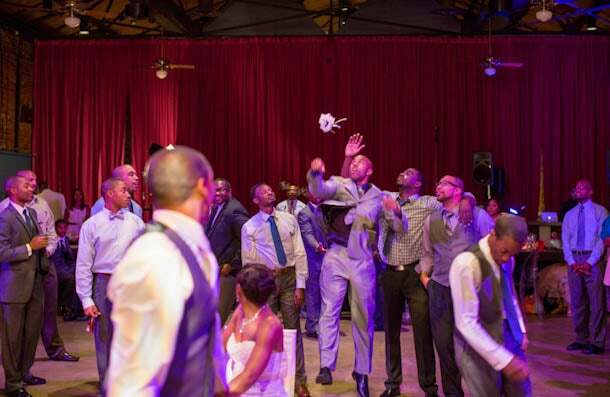 Some of the single guys at Aaron and Kyla’s Wedding leap for the garter. 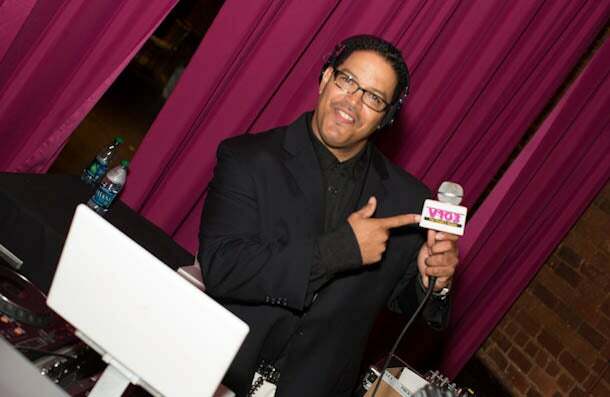 Tunes, from Stevie Wonder to the Wobble, were spun by Atlanta radio personality Bubby Love of V-103, who kept the crowd on their feet all night. 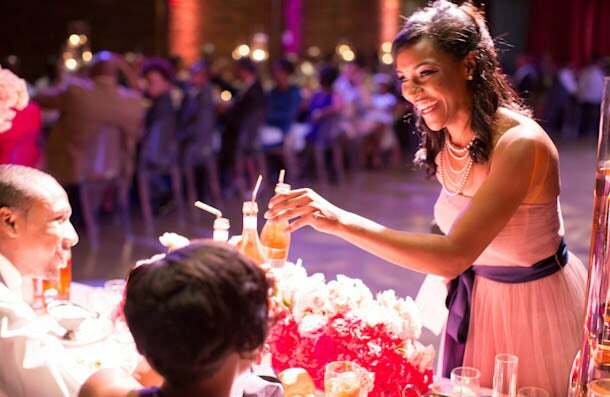 The dance floor was packed as guests enjoyed sweet treats and cocktails courtesy of Voli Vodka. 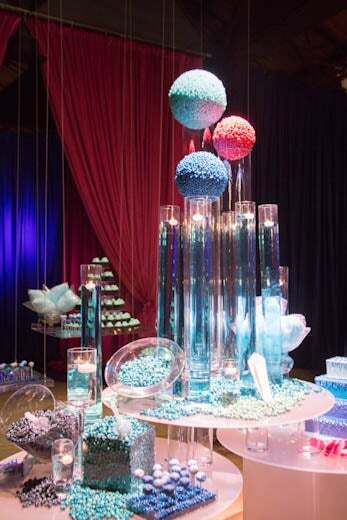 The yellow crème wedding cake from Cake Café Atlanta was covered in jellybeans and continued the wedding’s sweet theme. 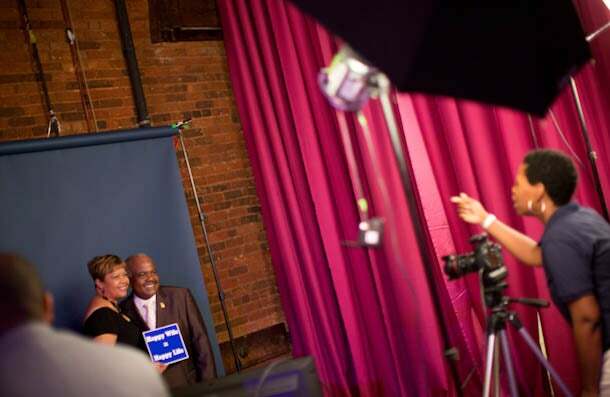 Guests captured memories from the night in the fun photo booth hosted by Cliff Robinson Photography. 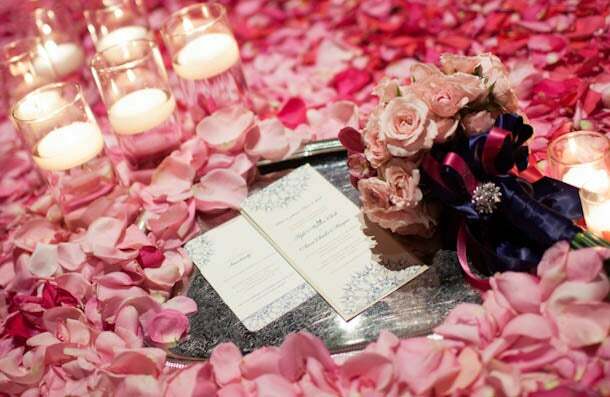 Aaron and Kyla’s sweetheart table included hand-painted lining from Wildflower linens. 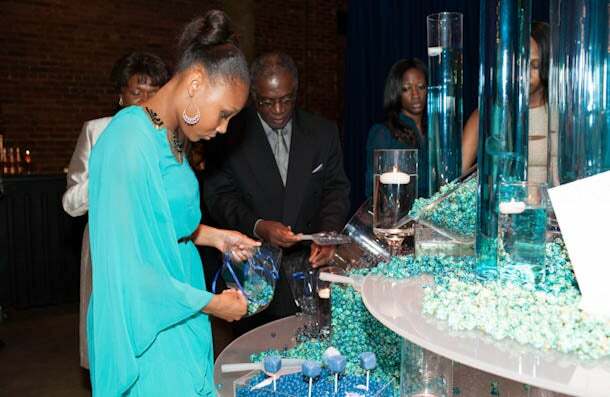 Instead of traditional favors, guests took home sweet treats including gourmet popcorn from Cake Café Atlanta. 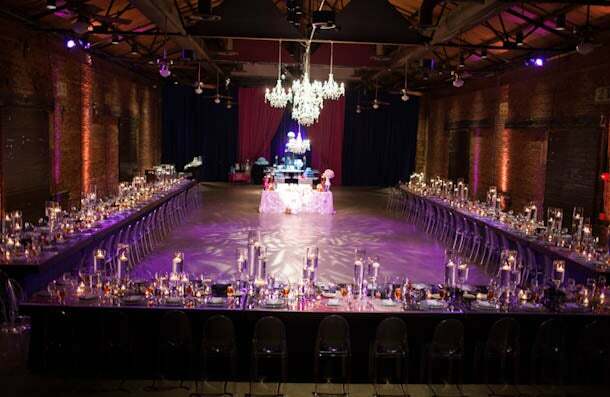 The Georgia Railroad Freight Depot in Atlanta was Kyla’s dream wedding venue with it’s exposed brick and southern charm. 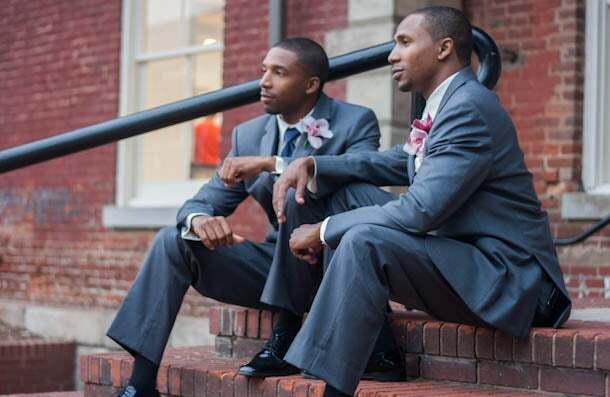 Aaron’s older brother Gabriel served as his best man. 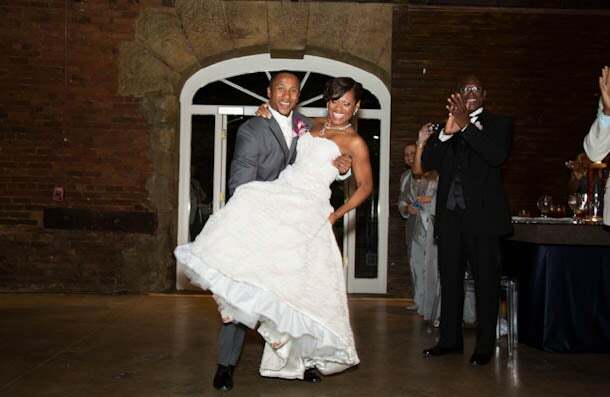 “We thank ESSENCE readers so much for this once-in-a-lifetime experience.” —The Maupins. 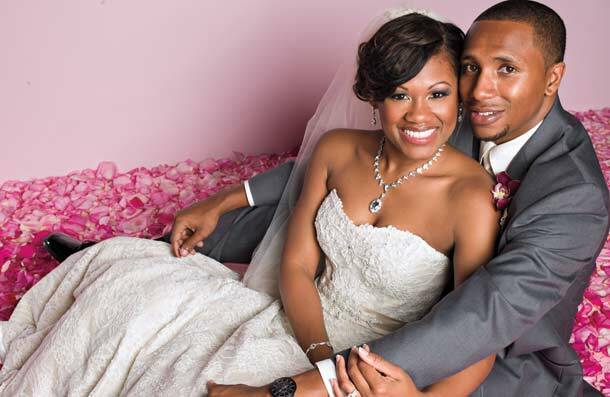 For more of Aaron and Kyla’s Storybook Wedding pick up the February 2013 issue of ESSENCE, now on stands. 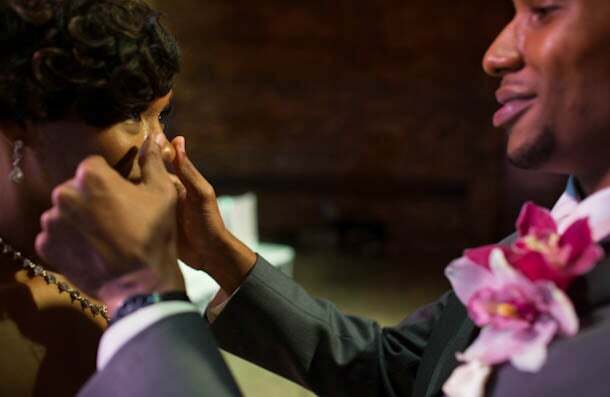 Watch their proposal video and see which finalists they beat out here.